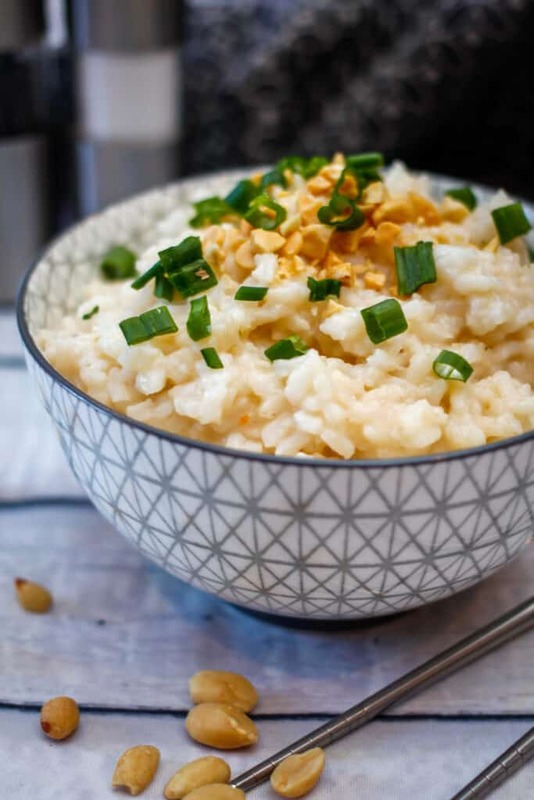 Congee is a white rice porridge and exists under different names in all Asian countries. The principle is very simple. The white rice is cooked for a very long time over a low heat in a large quantity of water or broth until the rice (which is full of water) swells and begins to decompose to form a porridge. 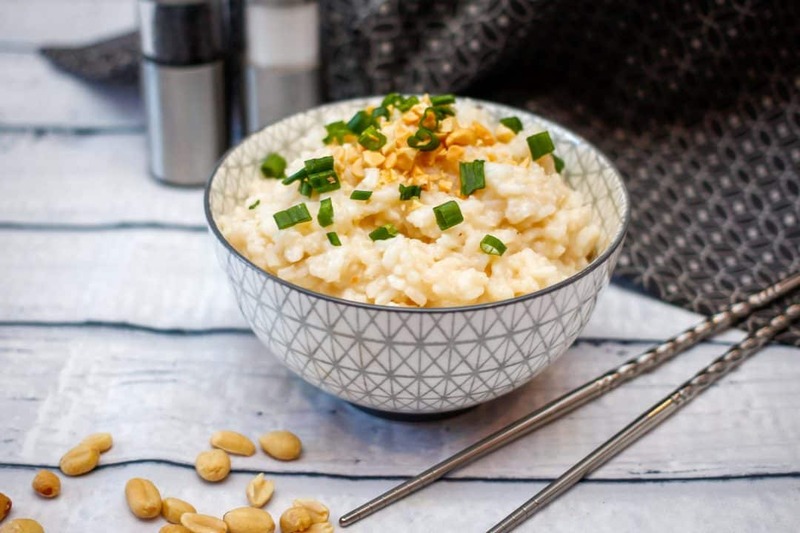 Once the porridge has been prepared, it may be accompanied by small pieces of cooked meat, steamed or pan-fried vegetables, spices, herbs, soy sauce, or sesame oil. The varieties are infinite. When the rice is boiling, turn the heat down to medium-low. Place the lid on the pot—leave a little space to allow the steam to escape. Cook on medium-low, stirring occasionally, until the rice has the thick, creamy texture of porridge. This can take about 50 minute. Add salt to taste, along with any other desired seasonings. Garnish with chopped peanuts and green onion. I’ve always been intrigued by this – think I’m finally going to give it a go!